If you plan to create an application site, then Appyn is for you since it is developed so you can upload information from Android applications. It has several options for you to add the app’s data, video and images. 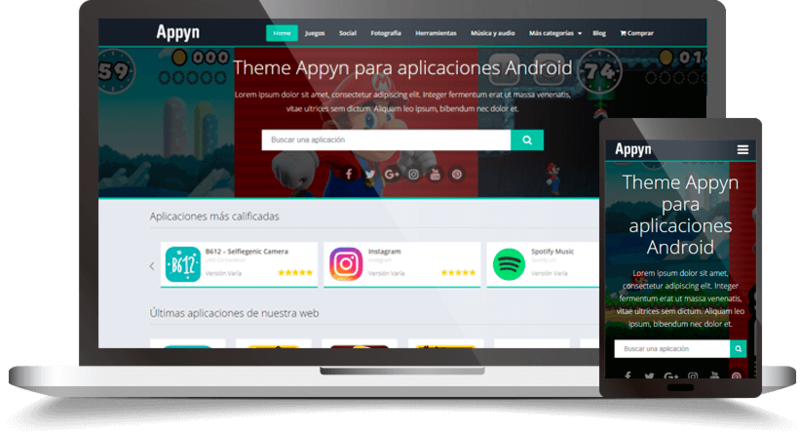 We are concerned about the speed of the Appyn theme, as this greatly influences the results of Google and of course the user. We have optimized the theme so that it has the best possible speed. Optimized for perfect viewing on any device from a desktop computer to a mobile phone. Support for Retina images on Hi-DPI screens, we have designed every detail to ensure that your site always looks beautiful in any environment. RESPONSIVE – Instantly adapts to any screen size. OPTIMIZED – Fast charging, first mobile design. RETINA READY – Clear and clear images on Hi-DPI devices. The Appyn theme comes with own widgets that you can place in the sidebar as in the footer. Among these widgets we have the classics of Facebook, Twitter and to publish a YouTube video. The others are for the most viewed, best-rated posts and the latest posts; You can filter all of these by categories. 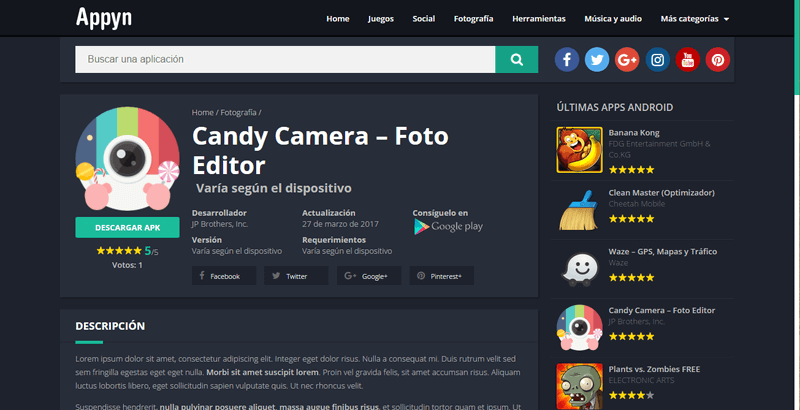 The theme is ready to be used in Spanish and English depending on the language that is configured on your website. In addition, it brings functionalities to be used with the WPML plugin. Search engine: When we have dozens of posts and search for a specific application we use the search engine, in this case we have an instant search engine, which with just typing some letters will start to search and give the result without plugins. Ratings: In each tab of the application you can qualify with 1 or 5 stars, as well as share it by clicking on the buttons of the various social networks. Social buttons: Link your site with your social networks. The Theme comes free with a function to extract content from the Play Store. This will help you create your posts in a faster way. As of version 5 of WordPress, it is only integrated for the classic editor, therefore the plugin “Classic Editor” is needed. When placing the URL of an application of the Play Store and clicking on the Extract data button, the extracted content will be added in the different fields. The data that the bot pulls are: Title, Content, Video of the App, Name of the developer, Last version, among many others. Change the whole look of the Appyn theme by a light or dark design. You can also modify the main color in the theme panel in a short time. Do you want to create a sales site? Our theme is integrated into the best known product sales plugin in the market. If the language of your site is English, the theme will be displayed in that language. sir this theme is not installed on my site please help me. Write us through a ticket from your account so we can help you. can you add more feature a search bar to display blog posts, add categories in blog posts? Hi, it is not the function of the theme currently, but we could help you make custom edits. I would have to open a ticket and write us there. Thank you! I Have buyed and installed this theme today. Tell me how to post blogs? can i use this theme with software/games for windows/mac ? and does support rtl? Hi, yes it supports RTL. You can use the theme for any content. Hello, that’s right. As long as it is owned by those websites. 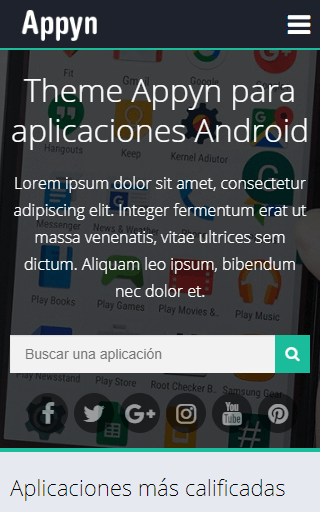 Recently I have bought this Theme and when i put play store url and click on extract data, it says Error: Inténtelo nuevamente! How to resolve it! Hello. What url of google play are you using? Support to the email soporte@themespixel.net from the customer email. Hello, the theme is optimized for SEO, however I could improve it even with a plugin specialized in SEO like Yoast. how to set english language for your site i do not understand this language. i want to buy this theme but …..
Hi. If you have WordPress configured in English, the theme will be displayed in that language. Hello, your email is not listed as a customer. 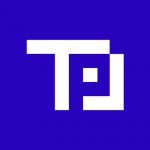 Write to support@themespixel.net from your customer email. I like the theme design a question at some point will add the user upload option from the front end? Where this option is – Added: New update alert in the panel. It is an alert that will indicate when there is a new version of the theme. Tomorrow we will launch the update. sir how to update theme? Before updating anything, make sure you have backup copies. Download the theme by entering your account. Remove the ‘appyn’ folder that is in the ‘wp-content’ directory. Details are not fetching correctly, the Only description is fetching, Images and Title are not coming.. What to do now? Yes there is a problem and that is that Google Play has changed the structure of your site. We are working on an update to solve that. Hola, escríbanos a soporte@themespixel.net desde su correo de cliente por favor. Gracias. I mean One theme on 2 sites..
Hi, of course, you can use it on any website that is yours. A nice theme overall but I am wondering if the bot can extract the What’s New section as well ? Hi, just extract the data from an application, not by sections. How to change the theme language to English? I am using WordPress for my website. Please ensure to mention the complete steps. If you need support on the theme's operation, please access your account and open a ticket. We reverse the right to eliminate comments outside the topic. Get exclusive discounts, new releases and releases!